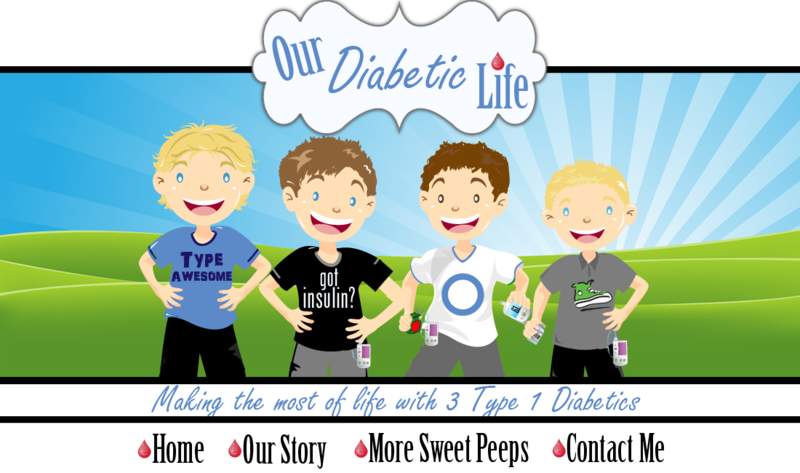 Some of you that are new to my blog may not know that my older brother is Type 1. He is 3 years older than me, and I’m proud to call him my friend. Proud, because when we were kids he was my mortal enemy. ;) We fought like cats and dogs. Fortunately, when we “grew-up” and had kids of our own, we were able to settle into a comfortable friendship. Even though we live a couple states away from each other, our kids are best friends. His family came to visit last week and Evan and I watched in awe as our kids skipped happily ahead of us arm in arm into the Six Flags entrance. If you would have told us 20 years ago that we would be witnessing such an event, we would have shook our heads and laughed hysterically. As parents of Type 1’s, I think we all are curious about the life of adult type 1’s. It is a little peak into our children’s futures...inquiring minds want to know! Evan was happy to be interviewed to answer some of burning questions I had about adulthood and T1. Me: How old were you when you were diagnosed? Evan: I was 23 years old. Me: What were your symptoms? Evan: I lost 65 pounds in less than 4 months. My lips were insanely dry and I was constantly peeing. 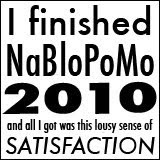 When I was in these stages I was splitting my time between Sonoma and Sacramento. It is a two hour drive and you bet I knew EVERY single restaurant and McDonalds on the commute that would let me use the bathroom without buying anything. I was also working at a restaurant, and they wouldn’t let me leave my station even when I had to desperately go to the bathroom. I was always parched and drank a steady flow of regular Coke, which of course, didn’t help things. Me: So you finally went to the doctor…what happened then? Evan: The doctors diagnosed me as a Type 2 right away, because of my age, and they gave me pills. A few months after one doctor gave me NPH to use only at night. When I moved to Taiwan to teach English I read dozens of books on diabetes and diagnosed myself as a Type 1. I prescribed myself my own insulin. Since I didn’t know better, I asked for pig insulin at first. Later I got National Healthcare in Taiwan. I found a doctor who knew what he was doing, and he put me on a new insulin regimen. Me: Have you ever had a diabetic emergency? Evan: When I was on the pills, I thought I was going blind. I went to the emergency room, and they just gave me more pills. I had no insurance at the time and was billed thousands of dollars for their stupidity. There was one time I was so shaky, I had to sit on the floor and I asked someone to get me a coke, but that is the extent of it. Me: Can you tell me what it feels like to have a low blood sugar? Evan: For me, I get the shakes. I used to get shaky when I was 70, now I don’t until I’m in the 40’s. I also have nightmares when I go low in the middle of the night. If I wake up, and I’m scared or worried, 90% of the time I’ll check and I’ll be low. Me: What does a high blood sugar feel like? Evan: In my case, it’s all about peeing. I know I’m high by how my bladder feels. If I’m over 260, I’ve got to pee. Me: When and why did you start the pump? Evan: I spoke to my doctor about a pump and he said it wasn’t an option. A few months later I got a call from my doctor to come in. Apparently you had spoken to your endo, who called my nurse to tell her a pump WAS needed. I started shortly after. Me: I forgot I did that. I’m so awesome. It made your life better, didn’t it? Evan: Yes. My A1C’s are about the same, but it really has made my life easier. It especially helped with the dawn phenomenon. I had awful spikes early in the morning…the pump makes those spikes controllable now. I like being able to turn the insulin off before bed if I’m dropping fast, and I especially like the meter that links to the pump. I don’t have to enter the number and it is very convenient. Me: How often do you see your Endo? Evan: (Smiling) Meri, I’m a little different than most of the diabetics you know. I’ve only seen an Endocrinologist like four times in my life. Three of those times were when I was starting the pump. Since I diagnosed myself…and educated myself…I mostly take care of myself. I have a standing order to get my blood drawn a couple times a year, and I take my blood pressure when I’m at the store. If my A1C’s weren’t so good, I’d probably seek out an Endo’s advice. But so far, I’ve been okay on my own. 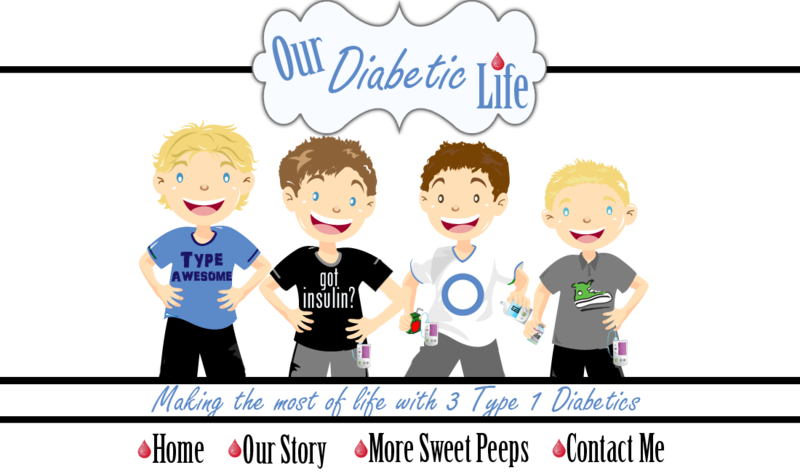 Me: What is the biggest pain about having Type 1 Diabetes? Evan: Driving is the biggest pain. It’s hard to multi-task while I’m driving. Just on the way down for this trip, I would poke my finger and Cheryl would squeeze out the blood and touch it to the monitor for me. Also, my immune system is pretty crappy, I’m a teacher and I get all the colds and flus that the kids bring to school. Another thing is everyone and their mother seems to know someone with Type 2. I’m always getting “advice” on how to take care of my diabetes. I’m always running into the food police too. Me: Do your students know you are Type 1? Evan: Yes. At the beginning of the year I show them my pump. I explain it’s not a cell phone. I tell them I may eat skittles now and then and no, they can’t have any. I also tell them if I start acting weird, or get unresponsive that they should run next door to get Mr. Fertado. Me: Do you think you are a different person than you would have been, because you have diabetes? Evan: Definitely. I am more cautious because of it. The biggest contributing factor for me becoming a teacher is the fact I knew I would get pretty good health insurance. Even though I am glad I choose to be a teacher, I may have chosen a different profession if health insurance wasn't such an important requirement. Me: Is diabetes a big part of your life? Evan: Honestly, I forget I’m diabetic half the time. Everything I do is just so automatic. The only time I complain about being diabetic is when I have to get out of bed in the middle of the night to go to the bathroom. Me: Cheryl, does Evans diabetes play a big role in your life? Evan: I think the biggest way I inconvenience Cheryl, is when my alarm goes off in the middle of the night. She helps me out, but generally…our life is just a normal one. I think it's very cool that your boys have such a great roll model to look to. They can see how their uncle Evan has taken such good care of himself and know that they can have a normal life, just like him. Bekah's future is always on my mind so it is nice to hear from adults with T1 and know that there is hope of a normal life. Thanks for posting this, Meri! What a great post, Meri! I love reading about T1 from an adult T1's perspective. I am now wondering about these nightmares and lows. Makes sense. Now I know why Zane acts like he has had a bad dream when he is low. I don't know why I never put it together before! The fighting between those two.. yikes! I loved hearing that diabetes wasn't that big of a deal in your brother's life. I hope it's that way for Grace... just another something she deals with but doesn't dwell on. LOVE it! I love hearing about adults with T1 who are living thier lives normally and happily! Pretty cool big brother! And yes, it's great that the boys have such a great guy to learn from. Great post Meri... your brother sounds like a great guy. I had no idea Meri! What a cool guy your brother Evan is and great that he is there for your boys to look up to. He brings a great perspective to it - that it isn't him, it's just a part of who he is. Thanks for sharing, it's important for these stories to be out there. I.HEART.YOU.and.YOUR.BRO.MERI!!! Thank you for sharing and you are right. 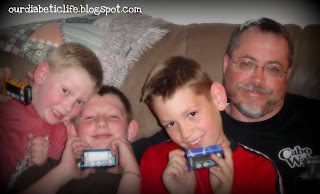 We parents are always curious about an adult with type 1 and how it has affected their life. Thank you so much for sharing. I am glad that you guys had a great visit together. Thanks for sharing.... It is a great perspective coming from an older dx and how he does not let it control his life! That was so nice to read! I felt so happy to hear that D is not a big deal in his life. I hope Emma feels that way too! Thank you for sharing your brother's story. Love,love, love hearing how d doesn't control his life. Thank you for sharing him with us! I think it is a unique type of gift to be able to have a person in our lives that has been living such a great life with t1d. I'd love for a cure, but until the day that occurs I know that Isaac will be able to see a great example in his daddy. So, glad your kids have a wonderful example, too. I'm glad he's such a bright guy and is able to take such great measures on his own to care for his d.